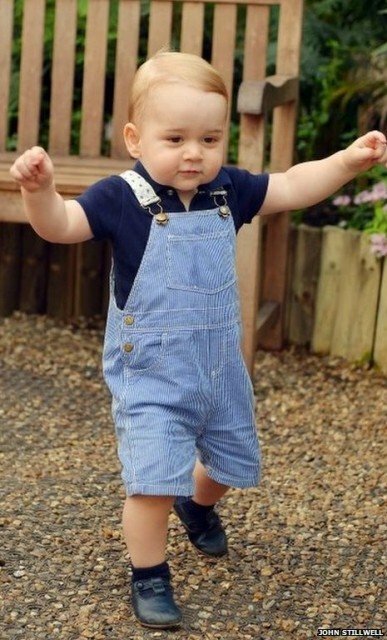 An official photograph of Prince George Alexander Louis – known as His Royal Highness Prince George of Cambridge – has been released to mark his first birthday. Prince George, whose birthday is on July 22, was pictured at the Sensational Butterflies exhibition at London’s Natural History Museum. The image was taken a few weeks ago by the Press Association’s John Stillwell. His parents, Prince William and Kate Middleton, are expected to hold a birthday party on Tuesday at their Kensington Palace apartment. John Stillwell also photographed Prince George’s first public appearance the day after he was born and his christening last October. “Prince George was very lively and very sure of himself and confident – a very determined young boy,” the photographer said.